Place the beef, onion, garlic, mushrooms, beef broth, black pepper, and salt into a slow cooker / crockpot and cook on a low temperature for approx. 6-8 hours. The beef should be very tender when it’s done. After the beef is done, stir into the slow cooker pot the coconut cream, Dijon mustard, salt to taste. Place the cucumber noodles into a bowl. 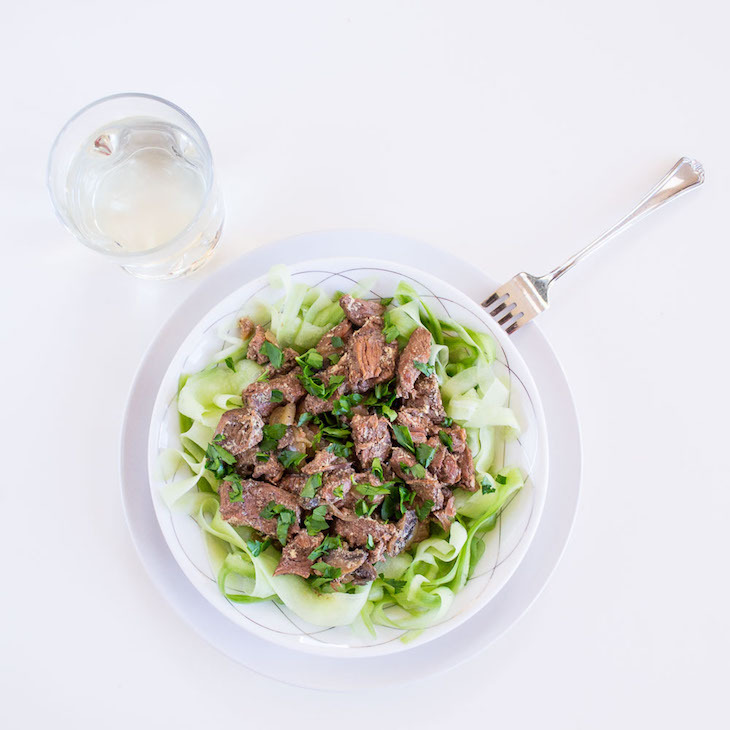 Top with the beef stroganoff. Garnish with the leftover parsley. 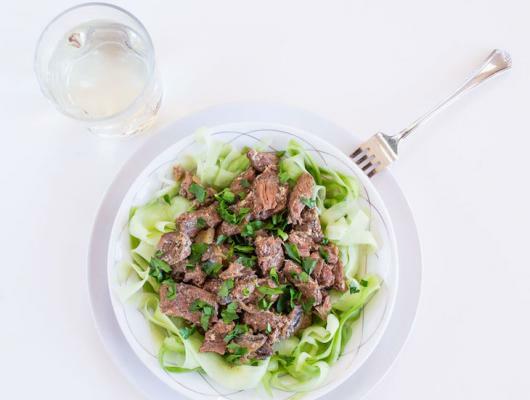 DESCRIPTION: This hearty Keto beef stroganoff recipe is both warming and delicious. And there’s the added benefit that making this in the slow cooker is so easier.